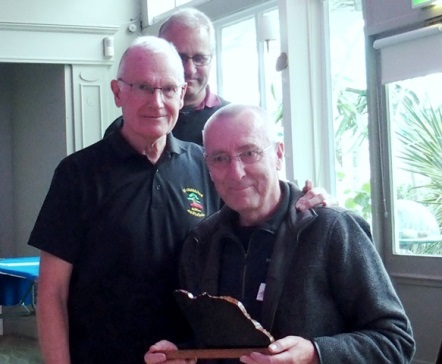 It is with real sadness and a great sense of loss that I have to tell you all that Alan Newson a founder member of South Staffs and a great friend of so many of us, died very suddenly yesterday. He had not enjoyed good health for the last few years but he was still a great enthusiast and rarely missed a meeting. Our deepest sympathies go to Margaret his wife known to most of us as a loyal supporter and frequently a great worker for many, many years and to his sons Mark and Paul, to their wives and the grandchildren that Alan truly loved and fre-quently cared for. A good man with many friends and he will be a great loss. The funeral will take place on Tuesday July 26th at Sutton Crematorium Tamworth Road. B75 6LG at 1.30pm. Family flowers only but donations to “Headway” – a head injuries charity, gratefully received. 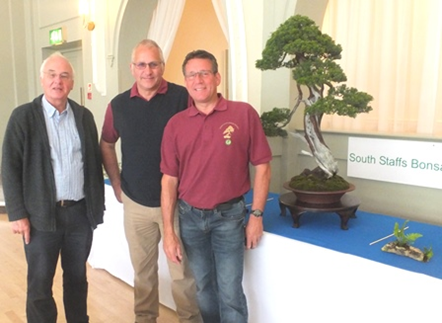 As part of this years’ Midland Bonsai Society Annual Show, S.S.B.S. 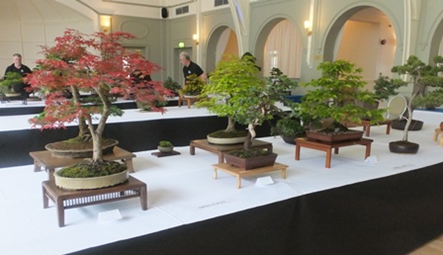 were invited to put on a display of members trees. The event was well attended with our display drawing much attention of the public. 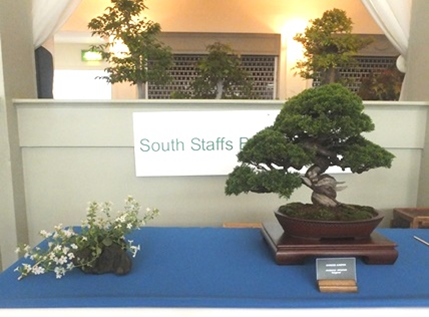 It proved an impressive display, with Mark Bentley’s Juniperus chinensis as a centre-piece. Thanks go to all those who helped in the assembly of the display and the manning of the stand on the day. Next months’ meeting will be working together in groups to ‘create a camel’ ie an animal created by a com-mittee. In this instance it is a small group, you will be given the materials and with a group leader to guide you, will create a group planting. 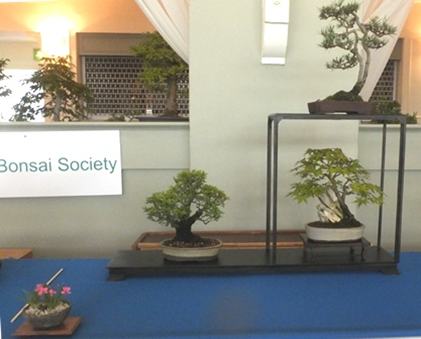 This is something the Society has done as part of an evening programme over many years and is a useful way to initiate members into creating bonsai, be they individual trees or, as in this case, small group plantings. At the end of the evening, those interested in purchasing the group worked on during the evening will have the opportunity to purchase it. Although bonsai are most commonly grown and displayed as solitary, trees in nature are more commonly seen in groups as forests or woodlands, so why not produce bonsai in this truly natural way. Group plantings can replicate a number of trees growing together in a copse, wood or a forest and reflect the interplay between the trees and their branches as they compete for light and nutrients. 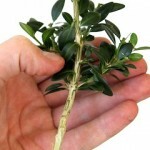 Whilst individual bonsai specimens can take many years of training to create a good image of a mature tree, a well designed group can be produced really quite rapidly from young immature saplings and can be far more instantly satisfying. 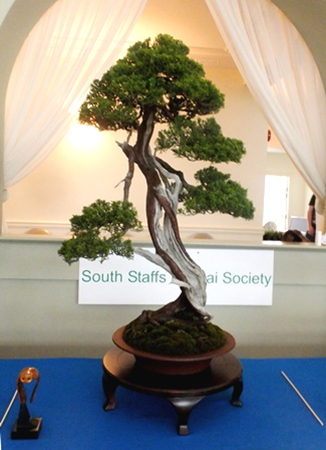 Successful groups can be created using young, thin trunked plants, that would otherwise would take many years before you could them as individual bonsai specimens. Successful group plantings are not so reliant on the material used; it is the artists creativity that makes for satisfying results.